Signal strength depends on Wi-Fi. Get the most out of your Galaxy Tab E with the Samsung+ app. Along with one-touch access to customer support, you’ll discover device tips, a library of resources and more. Plus you’ll have access to great music and exclusive content. 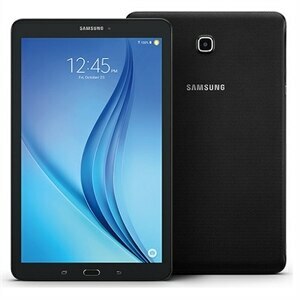 Samsung+ makes life with a tablet even better. Drive business results and workflow efficiencies with the purpose-built Samsung Galaxy Tab E 9.6-inch tablet. Employees can easily access and view information and content on the large 9.6-inch display. Samsung KNOX defense-grade security keeps corporate information confidential and secure, while KNOX Customization allows you to deploy purpose-built solutions for specific business needs.